John W. Reale focuses his practice on health care insurance-related fraud litigation. He has experience in class action litigation involving securities laws, ERISA and product liability, as well as in toxic tort litigation, state and federal False Claims Act litigation, consumer fraud litigation and general commercial litigation. John represents a variety of health care-related companies in litigation in Racketeer Influenced and Corrupt Organizations Act (RICO) matters and fraud claims, and serves as national defense counsel for pharmaceutical manufacturers in various federal and state lawsuits alleging Medicaid and Medicare fraud. 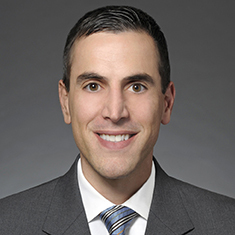 Prior to joining Katten, John was a partner at Kirkland & Ellis LLP and previously practiced with Testa, Hurwitz & Thibeault LLP. He also served as a judicial extern for the Honorable Susan Illston in the US District Court for the Northern District of California. Representation of automobile manufacturer and its senior executives in several putative nationwide class actions that alleged breaches of fiduciary duty under ERISA. Secured dismissal of consolidated class action cases in favor of automobile manufacturer's investment adviser, which the Second Circuit subsequently affirmed on appeal. Counsel for large chemical company in case brought by more than 200 plaintiffs alleging various personal injuries arising out of company’s operation of uranium mining and milling operations. Drafted successful motions for summary judgment and oversaw various aspects of expert and plaintiff discovery. Case was dismissed at trial level on summary judgment, as profiled in The American Lawyer, and subsequently affirmed on appeal by the US Court of Appeals for the Tenth Circuit. National defense counsel for pharmaceutical manufacturers in various federal and state lawsuits alleging Medicaid and Medicare fraud. Managed day-to-day aspects of cases, including drafting dispositive and discovery motions on behalf of client and joint defense, developing nationwide discovery strategy, leading expert discovery and presenting successful oral arguments in federal and state courts on dispositive and discovery motions. Representation of former senior executives of financial services company in securities class action brought under the Securities Exchange Act of 1934.